Manual and hydraulic powered machines are most effective and accurate in cutting as they are used in fabricating and sheet metal machine operations. They are excellently designed in withstanding large loads makes work easier, cost effective and is more efficient. The manual and hydraulic optimizes quality in cutting low angle , thinner steels and thicker steel plates cutting with high extreme accuracy and realibility.The manufactures of manual and hydraulic offers quality and technologically advances and innovation in ensuring customers satisfactions.They are designed in meeting trimming needs and cuttings depending on different types of materials. Features and Uses of Mechanical Shearing Machines. These are efficiently used in cutting of mild steel ,alloy steel as well as the stainless with different thickness. It a feature includes: high cutting capacity of 1.0 mm to 12.0 mm. they are very powerful and accurate while cutting the mild steel. Hydraulic hold down and pneumatic clutch enhances efficiency in performing. They have auto lubrication systems. Difference Between Under Crank and Over Crank Shearing Machines and their Applications . It is used in bending metal sheets and is one the best bending tools in the industries while over crank applied in cutting metal sheets. These are popularly used in cutting large sheets, bars, and plates of metallic and non metallic materials into elegance shapes. The equipments are excellently engineered for speedy and accuracy. They are advanced technologically with modern design, tough and durable while under crank are users friendly with low maintenance cost as well as secure to the users. These are applied in automobile, printing, engineering, electronic, wood working and frame construction industries. Over crank devices requires electrical power and offers ultimate performances in metal handlings. It is a very suitable device for use in the large scale operations and work effectively with use of the electricity power. It is also suitable in cutting as is very easy to use. Features of Hydraulic Operated Shearing Machine. These are equipped with overwhelming productive feature which includes the following. It employs a driven swing beam that is hydraulically, steel plate and accumulator for the purpose of steady and reliable in the operational. They also have positive holding avoids the sheets slippage while cutting. The innovative of three point rollers that helps in eliminating lubrication of the steel that this helps in providing better quality in the cutting operations. This increases the operational of the instruments to a long period of time. Application of Foot Operated Shearing Machines in Small Workshops. It is suitable for cutting delicate metals such as copper and aluminum. It is applied in making fragile objects such as electrical fittings, furniture making and electronic circuits. 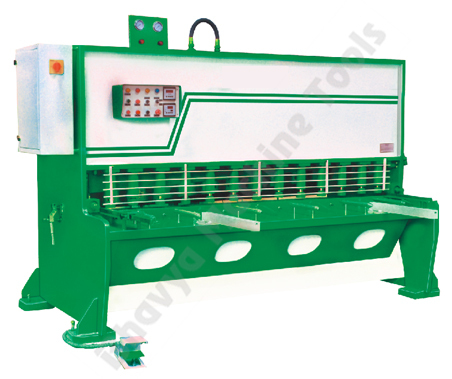 Uses of Roll Driven Spill out Shearing Machine in Manual Sheet Cutting Operations. It is designed for manual operating plate bending. 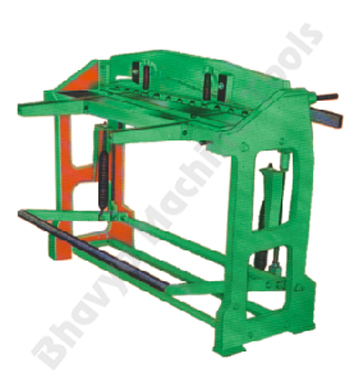 It is used in completely bending sheets to cylinders and curving them into different shapes. The shearing machines are effectively designed in cutting materials and giving a specific shape. It is used in industrial application such as metal and engineering industries. It has huge merits in metal industries with high performances, accuracy and efficiency. These are manufactured per international standards and a guideline that prevails globally. They are durable with long functioning life, user friendly and with less maintenance cost.